I bought something like 230 kilograms of the Rogue Calibrated Steel Plates back during the 2017 Black Friday sale, and aside from realizing almost immediately that I didn’t order quite enough weight I have been completely happy with this purchase. 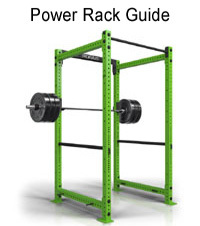 I wanted to take a couple minutes and write a short review on these plates for any of you who are on the fence about buying any of the nicer steel powerlifting plates for your gym. I’ll cover all the specifications, make a case for why calibrated plates are worth considering, how much they cost compared to the competition, whether I think they’re worth the money, and then I’ll summarize them into a pros and cons list. Please enjoy, comment, and share. Cast iron plates; machine calibrated for accuracy. Dual calibration plugs all for increased precision (+/- 10 g). Precise 50 mm collar opening (incompatible with cheap bars). Available in pounds or kilograms. Available in pairs and multiple set sizes. Low gloss, colored powder coat; IPF color theme. Easy answer – because they are accurate to within 10 grams of their stated weight, and 10 grams may as well be no deviation at all. Look at it like this, each calibrated plate is accurate to 1% of 1 kilogram. That means that a 25 kilogram plate is accurate to within 0.04%. That’s 10 grams out of 25,000 grams! 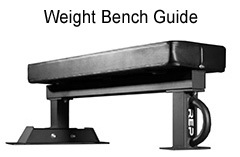 Even a machined 25 kilogram disc that is guaranteed to be within 2% of stated weight can be off by up to 500 grams. That’s 50 times more allowable deviation. Calibration plugs that do not rattle around or come loose. With this kind of weight accuracy you not only know exactly what you’re lifting, but you also have a perfectly balanced barbell. You’ll never have an 41-lb plate on one side and a 46-lb plate on the other, or some similar scenario in kilograms. Maybe a total novice with 135-lbs on the bar doesn’t care about accuracy, but when you PR 315 on the bench press wouldn’t you want to know that you actually pushed that 315 and not something like 302? Or worse, have a 325 bench but only be giving yourself credit for a 315 bench? I could also mention that you can get more weight on the bar with calibrated plates because of how razor thin they are, but I personally do not know anyone that’s not currently prepping for the Arnold Strongman Classic that runs out of sleeve space with 1″ wide steel plates. Also they look cool, and let’s be honest… that’s worth something. Here are the prices for all four major brands of calibrated plates; for comparison purposes. Rogue has the best price in all cases and they are the only option if you train in pounds, but shipping a number of pairs or the larger sets will be expensive so don’t dismiss Vulcan. Get multiple quotes. Are Calibrated Plates Worth the Cash? Calibrated Powerlifting Discs are a premium product, and as such they cost quite a bit more than cheap cast iron plates. Interestingly enough though, they don’t cost all that much more than machined cast iron plates, and sometimes they cost less! The prices for machined plates are definitely less in most cases, but not by as much as you may have thought. The Rep Equalizers, and to a lesser extent the Rogues, are less enough per pound that some decent money would be saved on a large quantity of plates (say about 25%), but if you were eyeballing Troy or Ivanko, well that’s a pretty simple upgrade decision to go from 2% accuracy to 10 g accuracy for a few percent more money, or less in the case of Ivanko. So to simplify all this, if you care about accuracy you should at the very least be looking for machined plates. If money is tight buy some basic machined plates like the Rep Equalizers for $1.45 a pound. If you can afford the upgrade consider calibrated plates for $2 a pound. 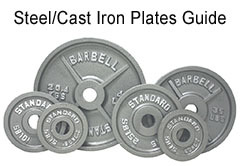 If you do not care about accuracy at all (which seems weird) or you don’t have more than a couple hundred to drop on a set, you should look for used machined plates before you buy the cheap, box-store cast iron plates (which won’t be accurate at all). At the end of the day, if you have the money to spend I think calibrated plates are worth the investment for your gym, but for most people’s purposes the machined discs will technically suffice. Extremely accurate to within 10 grams. Know exactly what you’re lifting all the time, and with no imbalances from one side to the other like with box-store cast iron plates. Same quality and accuracy as Rogue’s predecessors, but for substantially less cash. Very snug fit on 50 mm sleeves reduces rattling on the bar, and reduces opportunity for plates to slide around between reps. Available in pounds; not just kilograms like other manufacturers. Certified for sanctioned use by the IPF (kilogram variant). The calibration plugs are secure and do not rattle around. This is a known problem with Ivanko Calibrated plates. Colors are vibrant and classy. Plates look beautiful in the gym. The paint/powder coating does chip easily, but since we’re talking about steel on steel action it’s a little unreasonable to expect that they wouldn’t; especially around the collar opening and raised edges/lettering. This is barely a con. The sort of minor paint damage you can expect to see with frequent use. It’s not as though you can’t tell what color they are anymore – it’s all very insignificant. 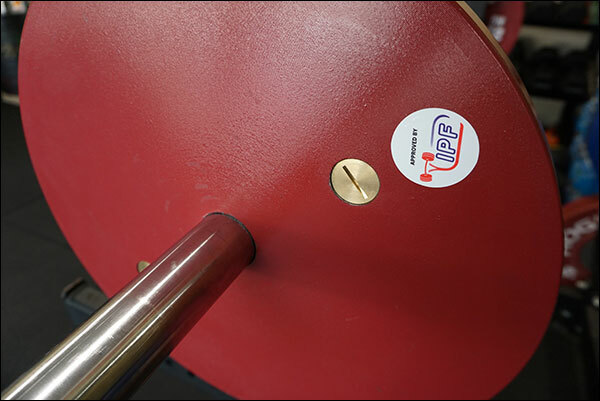 With lifts that require loading and unloading of the bar while it’s on the ground (deadlifts, basically), plates can be hard to get on or off the sleeve. A deadlift jack or wedge is very helpful. Expensive compared to generic cast iron plates. Calibrated plates won’t fit cheap bars, but I doubt this comes up often. Personally I’m happy with the purchase, especially considering I purchased during a nearly-free shipping event. 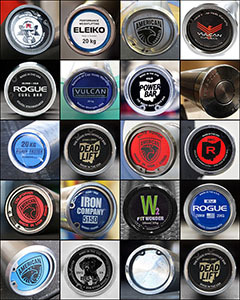 Matter of fact, I want to expand my collection, and will either do so with more Rogue plates, or the new Vulcan plates. You may not feel like you need calibrated plates and that’s totally acceptable, just don’t be overwhelmed by the price because they just are not that expensive compared to machined plates or competition bumpers. 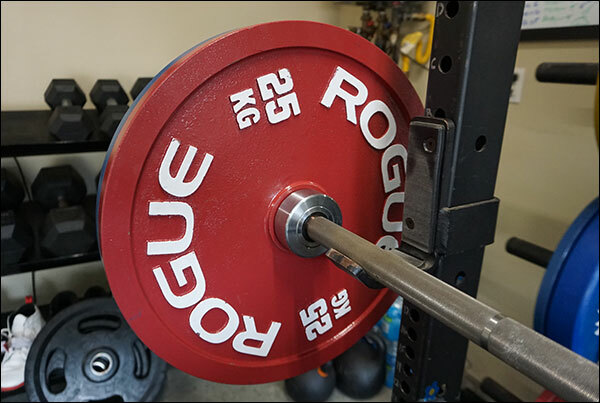 Matter of fact, 140 kg of Rogue’s Training Bumpers sells for $6.53 per kilo shipped, while 140 kg of Rogue’s Calibrated Plates sells for exactly $1 less a pound shipped (to me in Texas), or $5.53 per kilo. Pricey? Yes. Ridiculously so? No. I need thinner plates. I’m running out of room on the bar even during training sets now which is a good problem to have, but this time of year is not great for needing large shipments of weight. Trying to decide between half comp bumpers and half calibrated steel or just all comp bumpers. Around 280 kg total plus a full set of change plates. I guess I’m leaning towards the comp plates as they’re more versatile for all applications although a single 140 kg set would definitely cover all of my Oly lifting needs. Thinking I might pick up some used machined plates for now and fully revamp my plate line up come sale time (ie: Black Friday) later this year. Time to scrap all the lbs and go metric now that my wife has abandoned the garage gym for the most part in favor of Orange Theory. Aside from the burden of shipping steel, do you think Calibrated Plates are a better overall buy than machined plates considering that relatively small of a price gap? Or is 2% vs 10g not worth even a 25% price increase? Yes, I do. I wouldn’t buy a new set of machined plates when the price gap is pretty small. I’d go with these especially given that you can save a little here or there when deals pop up. If not, you’ll just end up wanting/needing to upgrade later on. If I go with steel plates, I’m planning to go with Vulcan but would still consider Rogue if they have another amazing BF deal. I kind of sat out this last BF from a fitness standpoint for the first time ever. Now regretting it as I find myself needing a full set of dumbbells and new plates. Just more likely that I could find a few decent machined plates used locally to tide me over until I fully revamp my lineup. Yeah I feel ya. I was just curious if I was underestimating the value of 25% on a large set or something. I do like the Vulcan plates too. I wanted them, but when they hadn’t dropped in forever and Black Friday came around, I said screw it. I was tired of using bumpers. Atlanta’s not much better. 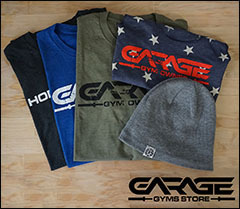 I initially built my garage gym on CL and FB with some pretty great mid-level finds here and there. I’ve since sold off most of that stuff and replaced with better options I bought new. Now it’s rare that I find anything I can use. I just hate paying $100+ for shipping. I just keep thinking of a piece of equipment I could have bought with that money. Figuring out how to get things done and cutting those cost corners if part of the fun though. That’s why Black Friday is so fun though. Freight prices are painful. That was written poorly, thank you for catching that. I rewrote that paragraph and I think it reads a little clearer now. Thanks for the review. I just want to correct one thing. These are not steel plates. They are iron. For some reason Rogue still advertises them as being steel. Aside from that these are a great buy and my next gym purchase. Calibrated plates are more important to veteran lifters. When adding 10 pounds to a lift in a year is an accomplishment accuracy really matters. Aye they are indeed cast iron. I made sure that was clear in the product specs at the top of the article, but I sometimes refer to them by exactly what they have been named, and that is confusing. Definitely cast iron though, you are right. What kind of plates were you using prior to these calibrated plates? Were you strictly bumpers, or did you have another kind of iron? 10-4. 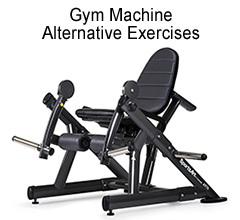 Are you going to complete the set (with smaller change plates and more 25kg’s) over time, or just stick to the few that you have? I’ll add more 20 kg plates – probably four or five more pairs. The steel change plates I won’t buy. I have more than enough change around. 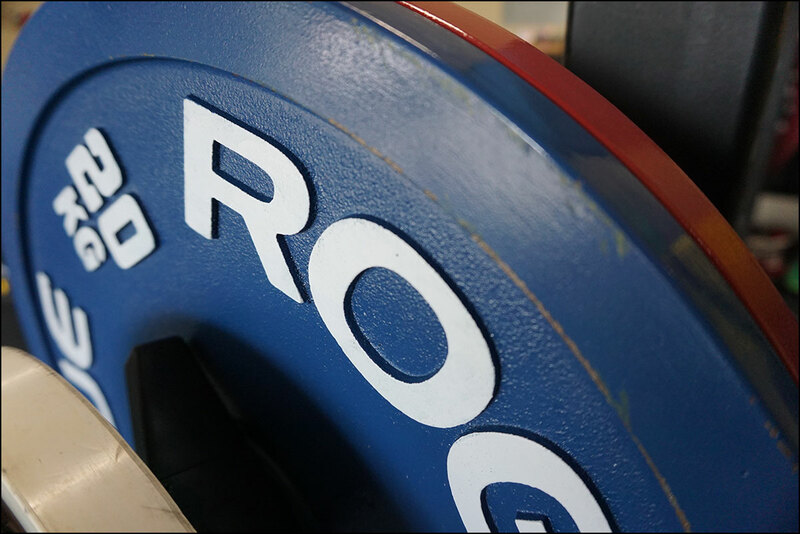 Oly change – eight disc sets instead of five (the Rogue/Eleiko set including the .0125 and .25 kg). I like the idea of more 20kg plates than 25kg plates, but I suppose they’re all numbers in the end. When I think about using 25kg plates, I suspect I’d be done loading pretty soon. 70kg (154 lbs) — 120 kg (264 lbs) — 170 kg (374 lbs —-220 kg (484 lbs)……..I doubt I’ll ever get past 4 pairs of 25 kg plates at once, but I suppose its nice to have “extra” whether for room to grow or just to load more than one barbell at once. Maybe the Vulcan plate sets would be a better idea, but….I’ve already got so much Rogue in my gym……ugh. I get 25 kgs, but I’m just super conditioned to warming up with 40 kg jumps. It’s just preference. I figure if I can ever deadlift 400 kilos maybe I’ll wish I had a 25 kg stack, but as hard as I try and much as I train, I’m not overly optimistic about that happening in the near future (plus I do have more kg comp bumpers than I know what to do with so it’s not like I’d ever be without ample weight). 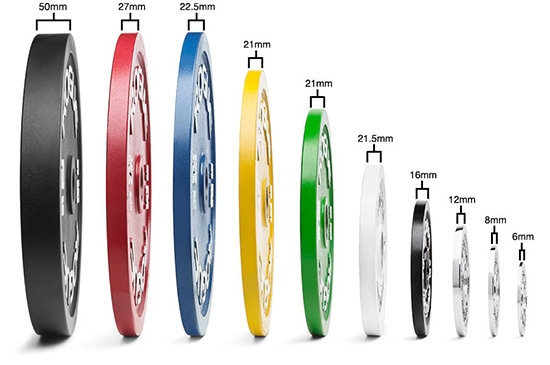 I’ve been eyeing Vulcan’s discs and I’ve even asked questions, but I’m still very unclear about what’s in stock, and what they actually look like (I’ve seen two different reds, no blues, no greens, no change). Total /shrug still. I agree. I’ve been checking their site regularly, but I haven’t seen any new info on the discs. They look like a good contender…time will tell, ultimately. Yeah, I have no reason for wanting the calibrated discs other than “want” and that I can’t see them as a bad investment into my home gym. I seriously doubt I’ll get past a 500 lb deadlift, but who knows….I don’t plan on stopping training (ever), and I’m not terribly old (I just turned 37). Having said that, I’m not sure I’d spring $2k for the set I want unless someone has another great Black Friday deal. The good news for me is that I’m NEVER in a hurry. I just wait in the bushes patiently and then attack with my cash in hand when the right time comes. Haha. Last year I bought the Rogue calibrated plates in the lbs version. My reasons for choosing them are the same as you outlined here. I even went with the rubber coated plates for 10lb and under. The way I see it is that I’m paying extra for the guarantee of accuracy. Machined plates are often accurate, but not always. So I just figured I’d go with the calibrated. I’ve been asked why I fuss so much about accuracy. I respond that I don’t fuss. I bought calibrated plates so I don’t ever have to think about it again. Also, the extra cost is a one time expense. It’s a circle of iron with no moving parts. If you keep it from rusting, it’ll last forever. It’s true. And honestly, they really aren’t much more expensive than any other half decent plate. Not like when it was just Eleiko and Ivanko offering them for $9 a pound or whatever they used to demand. Thanks for the review. I just bought those (using your banner). Just to confirm: It’s OK to do deadlifts and rows with those, right? If I do run into problems putting the plates on for the deadlift, is a wedge sufficient or would you recommend getting a deadlift jack over a wedge? wedge or a one-handed jack. Full-size jacks are a bit much. They work but they’re kind of a waste of space in my opinion. I am also considering perhaps getting the Rogue competition training plates instead, or maybe the Rogue deep dish grey machined plates. 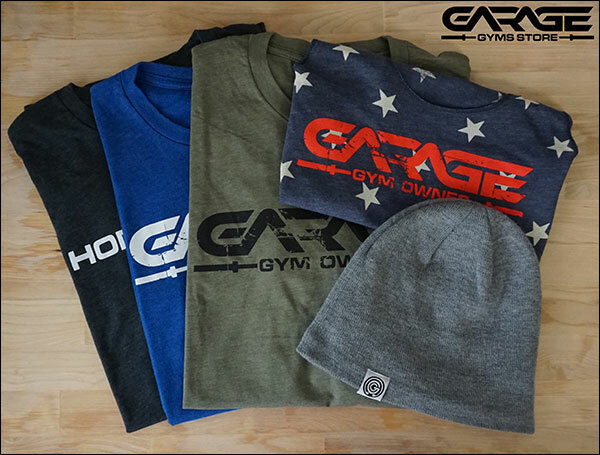 But I LOVE having some colour in my garage gym. Decisions decisions. Oh shoot, sorry, I thought of oner more con (sorry). Wont ‘t calibrated plates, or any steel plate for the matter, eventually destroy your bar from the repeated loading and unloading? They don’t do as much damage as you might imagine to sleeves. The fit is so good there isn’t any wiggle room to put the plate on at an angle which is what really tends to put the scratches and nicks on the sleeves. Plus I learned even with comp plates to just sort of lift when sliding rather than let the entire weight of the plate rest on the sleeve as you slide it on. Goes a long way when trying to avoid scratches. No I would agree with you that they would look cooler as they age…. kind of give them that “old-school” look. I’m 46 so I am definitely old school, and I always appreciate old school stuff, no mater what it is! I’m glad to hear that the bulk of the paint stays on. Thank you for the tip about lifting them when sliding them on and off. So (as i always value your opinions and recommendations – that’s why I came here to begin with), do you prefer these calibrated Rogue plates over their bumper plates, or training plates, deep dish machined ones, etc.? What do you recommend? The only reason why I bought the Rep ones was because they will never rust. I do not do any Cross fit (not a fan), nor would I ever. I also don’t deadlift because of my back, so I would never use bumpers for those types of lifts anyway. I do plan on getting a set of the Rogue change plates though. Super cool! Well I do like the calibrated plates over bumpers by a pretty big margin, but I’m glad that I still own bumpers for pulls. Training in a garage gym and all, I don’t need all that noise of slamming steel plates. If there were old school steel plates in kilograms here in the US for less money than calibrated plates I’d have gone that route probably, but there isn’t, and also if you compare prices to even Rogue’s machined plates you can see that for the accuracy and colors the price for calibrated plates isn’t even kind of bad… especially when you consider what they cost pre-Rogue (Ivanko, Eleiko, Titex). Keep in mind that Eleiko had to lower their prices significantly. If you’re curious what they used to cost look at Ivanko – they have never bothered to lower their prices. Vulcan even sold out quickly years after Rogue had time to saturate the market with theirs. Apparently there is a demand when the prices are reasonable. Hell I bought them and let’s be honest, plates don’t make for very good reviews so to say I made that purchase for the site is definitely a half-truth. I just wanted them haha. Well I didn’t have that choice since I had transitioned to kilos, but I did look for anything similar to the machine plates in kilos at the time – both because I might have been able to spend less and also because deep dish plates are also pretty damn cool looking. I don’t regret going with calibrated plates simply because, as you’ve pointed out, the price isn’t really all that different and they are accurate. What Rogue charges versus what everyone else used to charge is like night and day. Calibrated plates are probably a better buy overall but honestly I can see going either way. So there is a price difference of $76. I could take that $76 and buy say a Spud inc belt squat belt (because I want to do those instead of regular squats because of my back), or something else. I guess the sticking point for me is accuracy. I’ve read the reviews on both types of plates on Rogue’s website, and most have indicated that the machined plates are spot on as far as accuracy goes… maybe .2 lbs. off, which is nothing. the negative feedback on the calibrated plates is the paint job. Accuracy is not an issue. So for me, it boils down to accuracy. Also, a Rogue rep told me that the calibrated plates have a better “entering” because they are thinner. The machined plates are really only within a half-inch thicker, which is not an issue for me personally. How hard is it to load/unload/handle the calibrated plates? Seems like this would be the one big advantage of the deep dish machined plates. Looks like there is almost nothing to grab onto with the thin calibrated plates. They aren’t tough to handle at all in my opinion. There is enough of a lip to grab and carry like a suitcase around the gym without having to struggle or think about it, and the thinness helps. I’ve got bumpers that are way harder to hold on to, but I’m sure the huge lips on deep dish plates is technically easier.